Kids ART Camps At Our Studio! 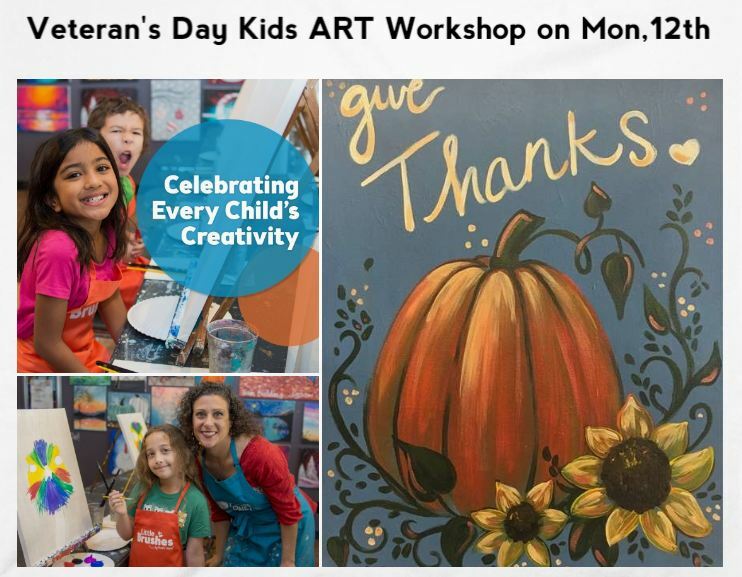 Create your beautiful Thanksgiving painting Mon, Nov 12th ( Veteran's Day). Come to Pinot's Palette Lexington Center for a specialty event for a full day of fun! Children attending 9:00 AM - 1:00 PM OR 9:00 AM - 1:00 PM events should bring a snack and lunch. Pinot's Palette is a nut-free environment so please be considerate of our nut-free policy and pack a nut-free lunch. Send NUT FREE Snack and Lunch.